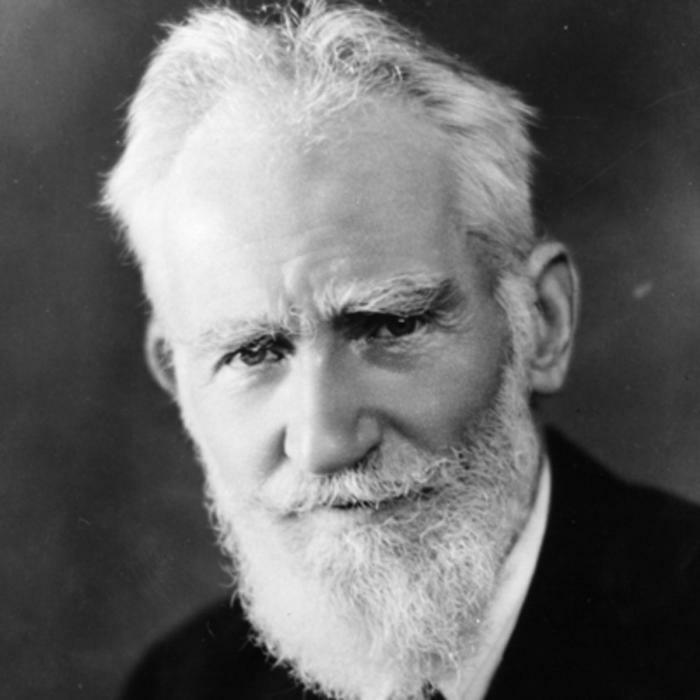 When looking for a true giant amongst the writers of the 19th and 20th centuries it would be hard to find anyone more deserving of that title than George Bernard Shaw. 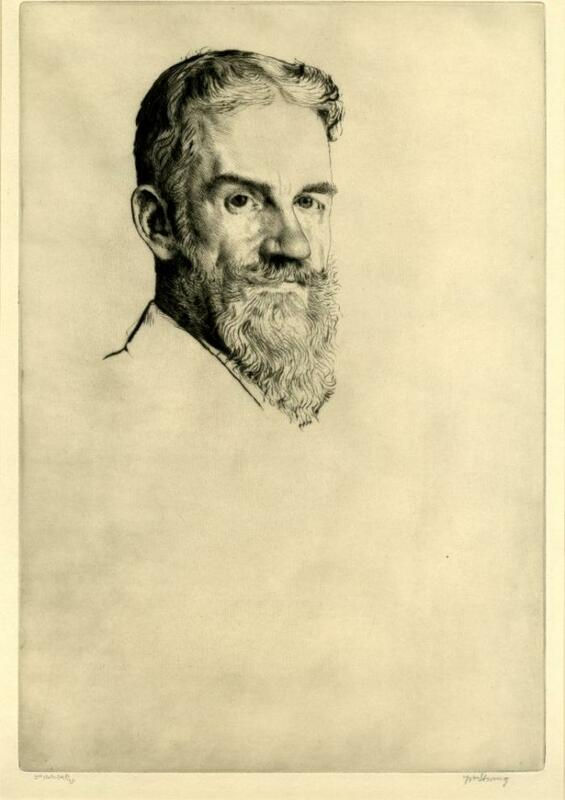 His primary writing output was in the form of plays and he wrote more than sixty of those. He wrote a few novels, though these were much less successful, and he was also a poet. Perhaps one little known fact about his life is that he was the co-founder of the London School of Economics. 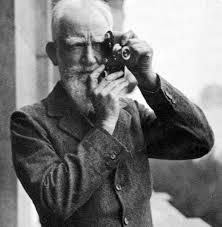 His stellar achievement though was that he was the only writer in history to receive both the Nobel Prize for Literature (1925) and an Oscar (1938) for the screenplay that was used in the first film version of Pygmalion. 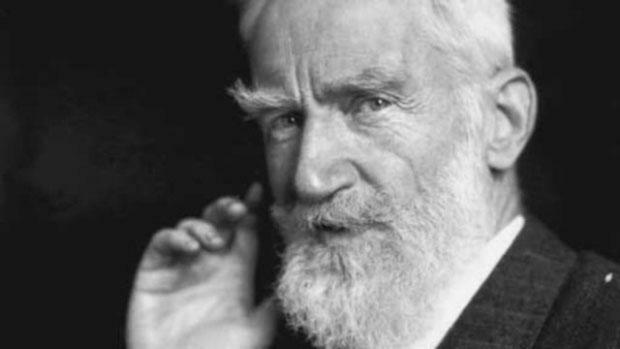 All of this is all the more remarkable when you consider that Shaw started life in humble surroundings in Dublin. He was born in July 1856 and the family were too poor to provide formal education for the three children. 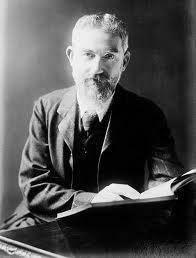 Private tuition was provided and Shaw, unlike many other writers of similar status, never attended university. 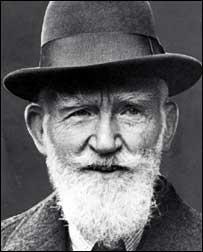 He was encouraged though to develop an interest in literature and spent a lot of time at National Gallery of Ireland. At the age of 20 George moved to London to live with his mother who had moved their four years earlier. 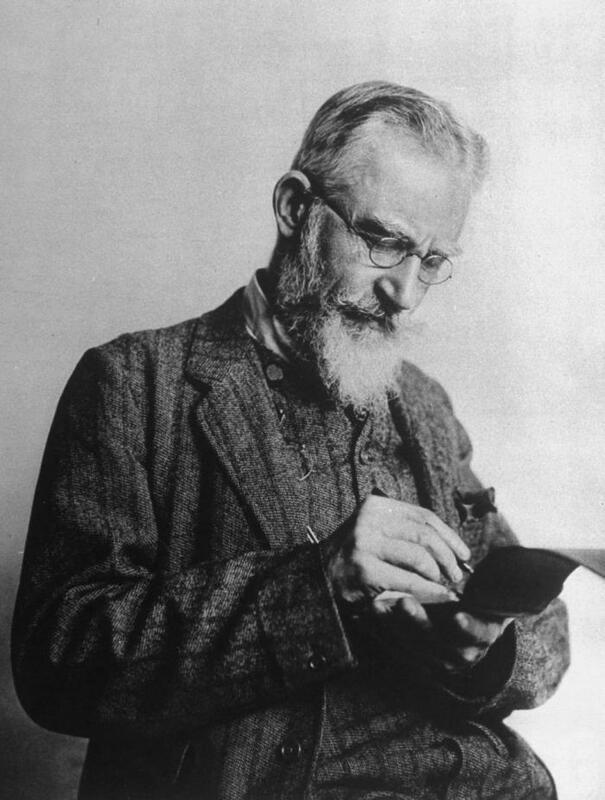 He echoed his studies in Dublin by spending as much time as he could in the British Museum reading room. He had a burning interest in politics and the unfairness of society in general. He joined the socialist Fabian Society. Whilst writing and editing work for the Fabians he found time to write book reviews and became an accomplished and popular theatre critic. The latter activity spurred him on to write his own plays and his first efforts included those well known titles Mrs Warren’s Profession and Arms and the Man. 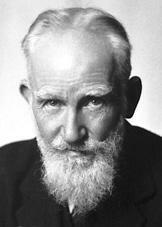 He covered serious themes such as religion, government and social inequalities in the class system. He made these subjects easier to digest though with a fair sprinkling of his trademark wit. 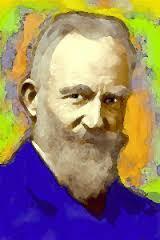 The early years of the 20th century saw Shaw’s emergence as a truly great writer. 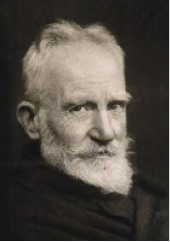 Man and Superman (1903), Androcles and the Lion (1912) and Saint Joan (1923) are three of his best known plays from this period and all demonstrated not only his skill as a dramatist but also his essential grasp of both the present time and history. 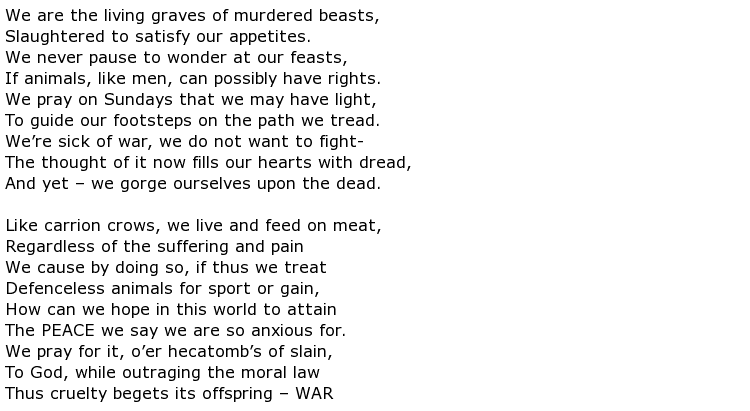 Sandwiched in between all of that was Pygmalion in 1912 and this really should be considered his finest work. It was performed first as a stage play, then adapted as a Broadway musical, and finally it was turned into two separate blockbuster films. However, despite the tremendous success of this play during the coming decades, Shaw never rested on his laurels. He continued to write almost until the day he died. 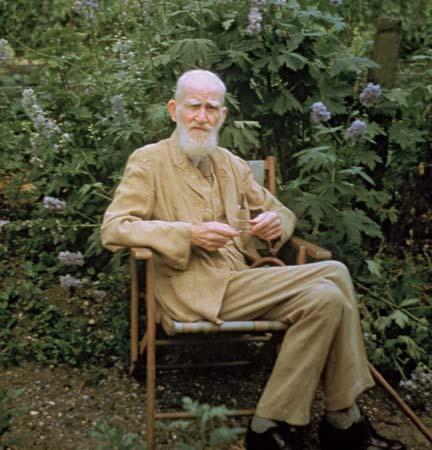 George Bernard Shaw died at his home in Ayot St Lawrence in 1950. Even at the age of 94 he was still physically and mentally active and it was injuries sustained after falling from a ladder that brought an end to this remarkable life.